Following James Gunn’s abrupt termination from Guardians of the Galaxy Vol. 3, Taika Waititi was seen as one of the leading candidates to replace Gunn. 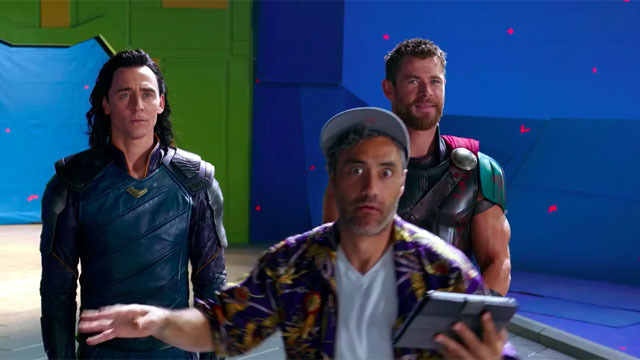 Waititi helmed Thor: Ragnarok, which had a comedic tone that was similar to Gunn’s two Guardians of the Galaxy films. But according to Waititi, he was never truly interested in being the new director of the sequel. “Nope. Not doing that movie,” said Waititi via The Wrap. At the TCA press tour, Waititi noted that he “didn’t really” talk to Marvel about the possibility of taking over the franchise. He also explained why. However, that doesn’t mean Waititi is done with Marvel. He noted that conversations with the studio have continued, even if he doesn’t have another Marvel movie lined up at the moment. Another Thor film could be a possibility, if Chris Hemsworth’s god of thunder returns after Avengers: Endgame. Marvel has been secretive about its long range plans. That makes it more difficult to predict which characters would be well suited for Waititi’s brand of humor. Which Marvel characters would you like to see Waititi get his hands on? And who should direct Guardians of the Galaxy Vol. 3? Let us know in the comment section below!